I’ve talked before about the long waits in getting projects published. But sometimes, despite waiting, projects never make it past the conference poster stage. I’ve also talked about developing a gut instinct for whether something is publishable. It’s nice that now, there are ways to turn ephemera into an archival, potentially usable and citable, document. 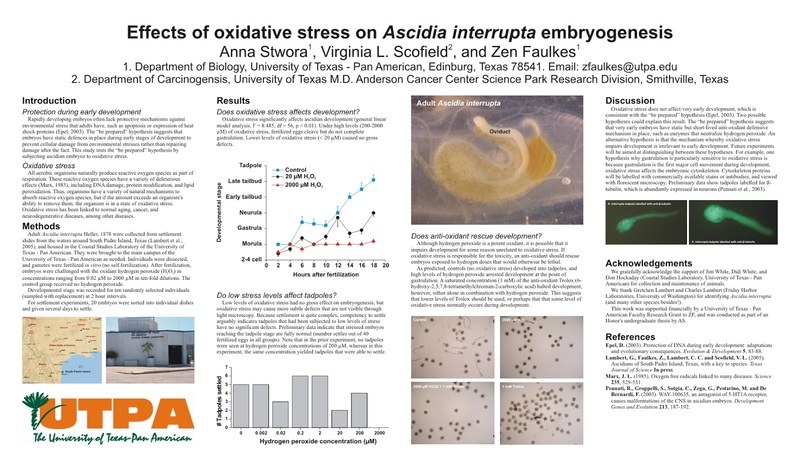 For a while, I’ve been meaning to start putting up some of my posters into FigShare, which I’ve been of fan of from early on. I first used it when I published a paper here on my blog. Since then, I’ve used it to archive the raw data for several of my papers as unofficial supplemental information. 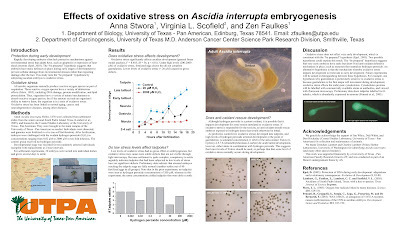 The first one to go up is a poster I presented at the third International Tunicate Conference in 2005 at the University of California Santa Barbara. This one is one of the relatively few projects that we were never able to push out into a paper. I still think it makes for a pretty good poster, though. Archiving this poster got me thinking. I see clear value in archiving old posters that can document projects that never made it into the scientific literature. But is there value in archiving posters that were the early versions of projects that did make it into the regular scientific literature? I can see old posters have some interest as examples of design (see the Better Posters blog). They might eventually have some historical interest. But is there any scientific interest in archiving old posters? Posters are generally works in progress, so tend to be incomplete and preliminary. Might they actually confuse matters by including dead end ideas that were abandoned by the authors?